Most of the many insights offered here can be summarized as: Realize how little control you have over the things in life you wish were better, and hold your head high anyway. This is a thinking person's (one might even say, an experienced person's) self-help book. It spends about half its time debunking the popular advice in the thousands of best-sellers that sell "you can have it all if you just tweak a few things." If you are a big fan of "The Secret" or even Tony Robbins, you are probably not going to like this. The lesson throughout is there are many things, people, family issues and real suffering that you cannot do anything about, no matter what you see on Oprah or read in your favorite blogs. And because the book necessarily deals with pretty negative, even sometimes tragic, life events (unexpected break-ups, addiction, borderline personality disorder, sexual incompatibility to name only four of more than three dozen) it can seem pretty bleak to be told that most of this s*** doesn't have a solution or cure. The authors believe profanity is appropriate for emphasis, so the f-word and other cusswords pepper the prose, which some like me will find amusing and others might find offensive. But the ultimate message is that you can live a good life, be a good person, and yes, even enjoy yourself from time to time by looking life squarely in the eye and giving a good shrug to the stuff you can't fix. You can feel good about yourself no matter what s---storm is swirling around you. Two thousand years ago, the Stoics (esp. Epictetus, Marcus Aurelius and Seneca) taught a similar message. The ideas presented here, if not first to appear on Earth, are refreshingly updated for the problems we face today. If you can't figure out why your teen-ager has suddenly stopped talking to you, the hot woman you've been dating seems to want to pick out all your clothes for you, your temporary unemployment has landed you and your husband in the living room with your mother-in-law whom you can't stand, or the guy / girl you love can't keep his / her promise to stay sober even for a day, you might want to give this a listen. Well done, Bennetts. And thanks for the great reading, Patrick. 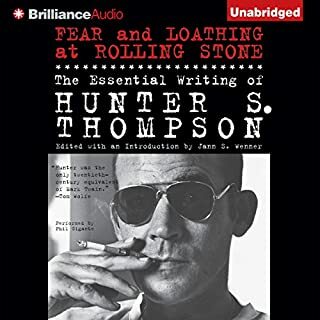 At first I was put off by narrator Ron McLarty's delivery, since he sounds nothing like Dr. Hunter S Thompson. But after the first 20 minutes, I was enjoying the story and especially McLarty's voice characterizations so much that I that I revelled in this audiobook. 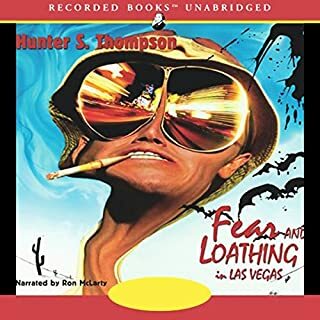 As for the story, well, if you're into gonzo journalism, this is the best there is. Phil Gigante "channels" HST really well. Very listenable and entertaining for fans of the man like me. How many self-help books are written by authors whose biggest success is selling self-help books? Three Simple Steps is different. Despite stock market crashes, dot-com busts, and the specter of recession, the author started a virtual company from home, using a few thousand dollars of his savings. A few years later, without ever hiring an employee or leaving his home office, he sold it for more than $100 million. As the economy slipped into another free fall, he did this again with a company in a different field. He accomplished this through no particular genius. 1. Focus only on what you want, not on what you do not want. Filter out negative conversation, people and media. Cultivate internal views of scenes and conditions you enjoy, love and wish to have more of. 2. Set aside quiet time each day. Quiet is the ground of potentiality. 3. Develop *intention* to attract your desired results and circumstances. Not a goal; a goal is inherently separate from us and has doubt attached. Intention -- or as Blake also puts it, a state of knowing -- is part of us and does not include doubt. Intention brings itself into being. The book includes inspiring stories, including the one at the beginning that I will refrain from spoiling by not revealing the surprise ending. He relates being bullied as an English boy growing up in poverty in Wales (with some truly harrowing anecdotes), and how he overcame trauma by learning about and following the examples of others from oppressed backgrounds who discovered secrets to phenomenal success. 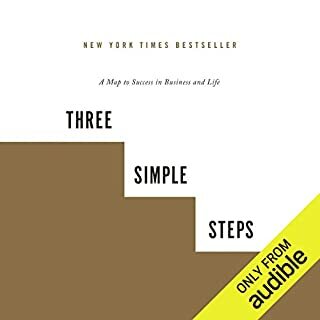 A modern take on some age-old ideas, the "Three Simple Steps" are refreshingly straightforward, but there is also nuance to this book. Blake encourages us to pay close attention to our internal and external experience, and to become the selectors of the circumstances and lives we want. The voice performance is adequate, although to hear Britishisms read in an American accent is a little odd at times. Overall there is nothing negative to say about Dudley's narration; it is easy to listen to without sending the listener to sleep. Recommended for those who wish to set their lives on an upward trajectory. Life doesn't just happen. In this powerful video, you will learn why certain areas of your life don't work and how to have these areas clear up. You will learn how to let go, flow with life and get your power back. This moving video demonstrates the opportunity of life. People who attended said that they gained life changing insights. Many reported an inner healing. Others discovered a new direction for their lives. At the minimum, this video will change the way you view life. 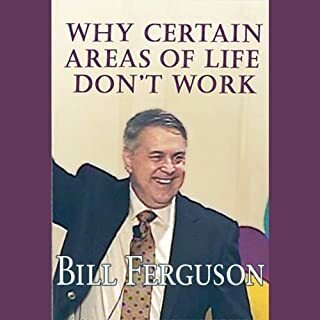 Bill Ferguson was featured on Oprah. This is Bill F. in a nutshell. If you like this, you'll probably want to download his more comprehensive books. I think his original take on life is workable and entertaining, and it has helped me more than I can express. Thanks, Bill! This audio walks you through the process of healing the hurt, ending the cycle of conflict, and restoring the love, not as husband and wife, but as one human being to another. You will learn how to let go, communicate, forgive, and how to take the conflict out of resolving issues. You will learn how to heal your relationship and if necessary, how to part as friends. The author of this audio was featured on Oprah. It's too early to tell, but the approach recommended here is already having an enormously positive effect on my relationship with my spouse. 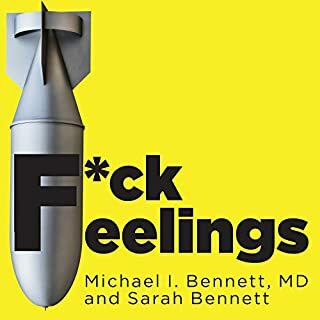 In contrast to the other review, I have found this audiobook to be helpful and multi-faceted, going to the root of the emotional background that is likely causing the two partners in estrangement to contemplate a split. I know that whether or not we decide to go our separate ways, my relationship with my wife will be significantly repaired, and that at least will save us a costly and adversarial divorce. I will update this review once the final result is in. In the meantime, if you are looking for help for your troubled marriage, I suggest you place this audiobook near the top of your list. This course is about creating miracles. It's about learning, healing, taking action and developing the skills you need to create a life that will exceed your dreams. This course walks you through the process of healing your past, changing the way you relate to life, and creating a life where miracles are common. Topics include love, healing, letting go, relationships, prosperity, life purpose, spirituality and how to have your dreams come true. This is a course that can profoundly change your life. Bill Ferguson is a genius! 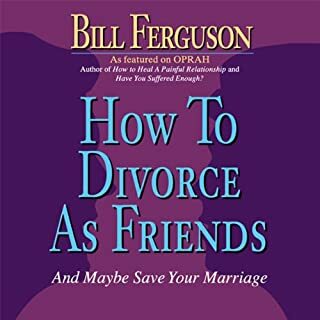 I am now going through a separation that may or may not lead to a divorce, and I came across Bill Ferguson's work through his audiobook "How to Divorce as Friends and Maybe Save Your Marriage." I was so impressed by his approach on that audiobook, which is already having a positive effect on my relationship with my wife, that I downloaded everything else on Audible that Bill F. offers. 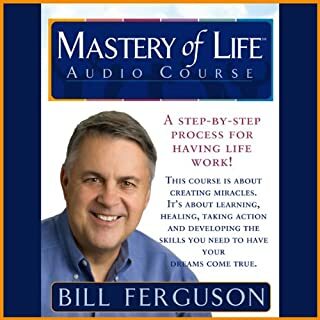 While they are all excellent, I found that his central ideas are all contained in this single selection, the Mastery of Life course, and that the other audiobooks are adaptations of the main ideas presented here for specific issues. 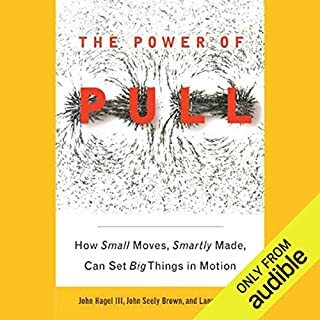 I recommend anyone interested in making improvements to his or her life start here and move on to the other pertinent audiobooks as they desire. What I find so compelling is, a) the originality of Bill's ideas, and b) his straightforward, easy to understand approach. As a veteran consumer of self-help books, I have encountered repetitions of ideas among many authors, (leading me to wonder if Brain Tracy was reading Wayne Dyer's and Stephen Covey's stuff or was the other way around?). Bill F.'s ideas are completely original and bear little resemblance to anything that I have come across before, and yet they seem to me like what I have been looking for the whole time. Secondly, Bill has an easy going and very brief way of expressing these ideas - sometimes I feel like I am back in kindergarten listening to him - that is very easy to follow and reassuring. This audiobook includes a downloadable workbook that is integral to the exercises and is excellent as well. My suggestion is that readers make sure they download the workbook as part of the experience. At one point near the end, Bill says he closed his practice as a divorce attorney to follow his true love, helping people live better lives. Bill, you have certainly done that in my case, and I may avoid a divorce that I don't want as a bonus! This novel is without a doubt one of the finest gems of the 20th century, as others have written. 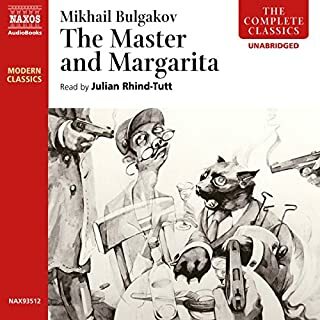 But I wish to highlight this audiobook's narrator, who brings the spoken word performance to a new art form, creating exactly the right voice for each of the more than one hundred characters large and small that speak as the multi-layered story unfolds. My favorite is the urbane and mocking Professor Wolland (the Devil in disguise), but close seconds are the members of the Devil's entourage, Azezello, Behemoth (the giant cat) and Koroviev, the 7-foot-tall "former choir director." Julian Rhind-Tutt, an accomplished British character actor, provides proof that there is such a thing as performing a text. Brilliant! And one of my favorite reasons that I'm glad Audible exists. In a radical break with the past, information now flows like water, and we must learn how to tap into its stream. Individuals and companies can no longer rely on the stocks of knowledge that theyve carefully built up and stored away. Information now flows like water, and we must learn how to tap into the stream. Pulled away from anything better to do. Hey, Audible! The authors say in the introduction that there is a companion pdf download showing their diagrams and illustrations available "where you downloaded this audiobook" -- but as of this writing on 19 May 2010, I don't see one anywhere. Please post it. Sweeney is a druggist by trade; Danny, his son, is in a persistent coma, the victim of an accident. Hoping for a miracle, they have come to the Peck Clinic, a fortress-like haven in a post-industrial city overrun by gangs. Doctors there claim to have resurrected two patients who were similarly lost in the void. Night after night after my commute home, this novel had me sitting in my driveway not wanting to stop listening. 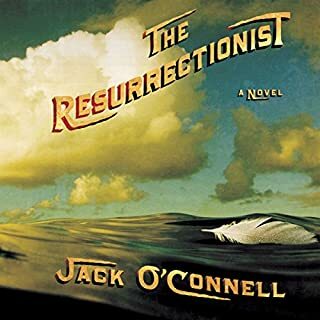 Holter Graham deserves top credit for bringing the characters to life, but it is Jack O'Connell's fervid imagination and descriptive wizardry that makes this fiction darkly cinematic and intensely personal. Like the main character, I felt like I had been dropped into a labyrithine universe and left to find my own way out ... and I'm not totally sure I did. Every turn revealed new surprises and engrossing puzzles. Audible needs to ask Holter Graham to record the rest of Jack O'Connell's novels right away.